the breach in question is the gap in the wall of the city of Harfleur, which the English army held under siege. Henry was encouraging his troops to attack the city again, even if they have to 'close the wall with English dead'. Well it has been a long old expensive road that me and Ms Skyline have battled along. She is after all a lump of metal, not capable of independent thought, just a concept perhaps in my own minds eye. Now we reach the end game, final modifications to her engine. After this there can be no more internal jiggery pokery and she will be all she can be. Lets look at the bits that are going to be fitted. Originally I would have gone for HKS, although for some strange reason HKS UK don't seem to sell parts as such. Just key rings and basically dumb parts. Pointless in my opinion and am not sure why they have a presence in the UK at all. 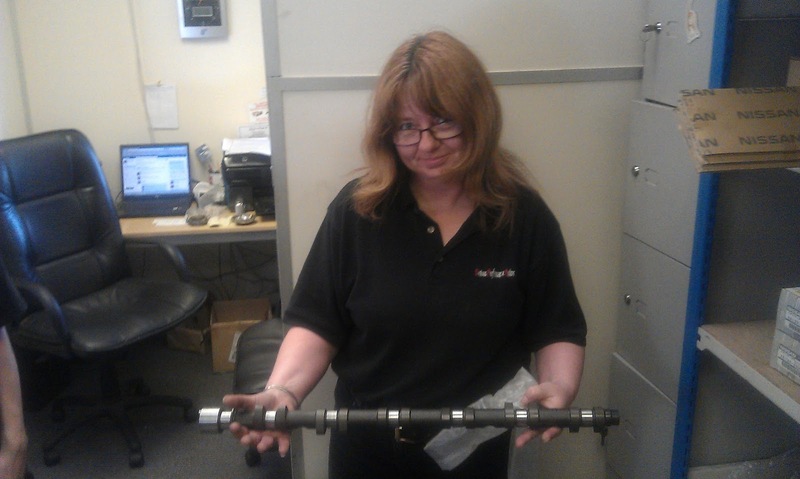 Changing camshafts help to modify the torque characteristics of an engine by changing cam duration timing and height of the cam lift, there by gaining maximum torque and horse power. However, when tuning the engine strictly, it should be carried out with the idea of securing effective area of the valve not only by duration timing and height of the cam lift, but also by through improvement of its intake efficiency. High valve lift will allow huge amounts of air to flow in, yet it can mechanically damage the system and will gain friction loss. Also, wide cam duration will deliver great power at high RPM, but it gives rough engine character at low RPM too. Tomei have worked to get an ideal well-balanced profile of camshaft and succeeded to give it 1.3 to 1.5 times more effective area than regular camshafts. Reading a few sites I wonder if this modification is really going to make a hell of a difference. Although the user forums usually all conflict with each other on just about every subject, so it has been rare for me to ever take the advice given and usually go my own way (as in this case). This is the only car modelling that interests me, a lovely lady holding an interesting lump of metal! The HKS GT Series Turbos are based on ball-bearing Garrett units and have re-engineered compressor and turbine wheels along with specific A/R and trim levels. All GT Series Turbos are designed to be a perfect blend of power and response. HKS achieved this balance by first choosing to use a ball-bearing center cartridge to reduce friction along with an off-center turbo design for improved efficiency and flow. 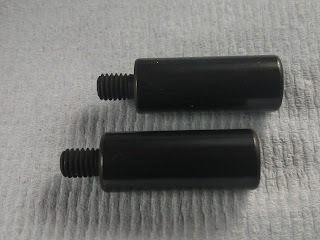 HKS carefully tested Trim and A/R levels along with different inlet and outlet diameters to achieve optimal power. The results of this combination are turbos that not only deliver amazing power, but also spool incredibly fast. HKS GT Series Turbos are offered with a GT25 (T25) and/or T3 footprint and the turbine wheel is constructed of inconel. Inconel is a very expensive material that can withstand extremely high temperatures and is typically only used in the aero-space industry and on race cars. HEL Performance specialise in the manufacture of all stainless steel brake lines and hoses in over 65 countries around the world. With over 5,400 stainless steel automotive brake line kits and a large range of oil cooler and stainless steel oil line kits we are sure there will be something in our range for your car. The most powerful part of your motorcycle is not the engine - it's the brakes. That's a fact! 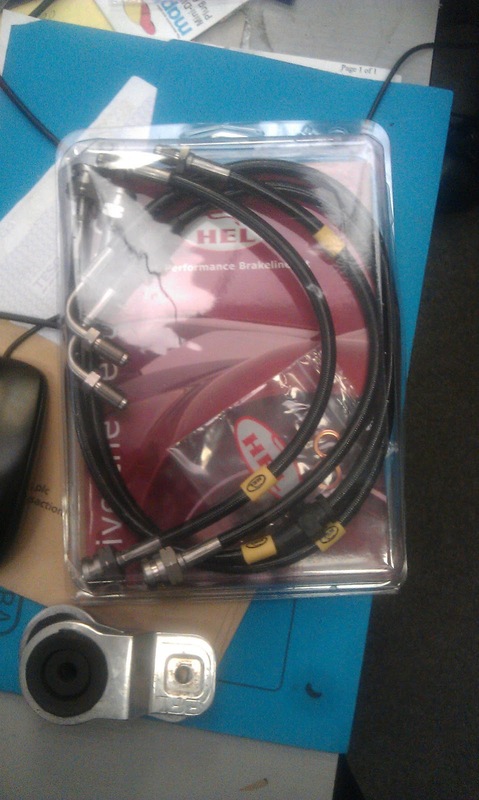 By fitting HEL Performance Stainless Steel Brake Lines you can make them even more powerful! Can't beat a 'real' photo! So, there you have it. Camshafts and Turbo. And brake lines thrown in just for the hell of it (or hel of it! lol...).